Agency Primary has expanded its team with two new hires including a client engagement manager and project coordinator. 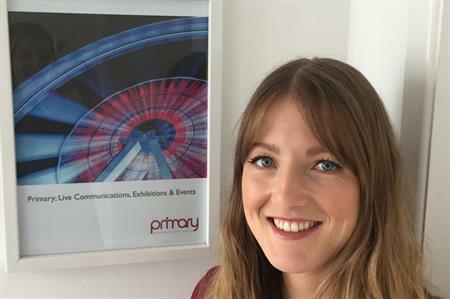 Primary has appointed Katie Copping as client engagement manager. She has joined the team from HighCo MRM where she worked for three years as a sales manager. She brings with her a wealth of experience in customer service and sales, working for organisations such as Astra Zeneca. Commenting on the new addition to the client engagement team, managing director, Dan Stevens, said: "Katie’s passion and enthusiasm for events make her a welcome addition to the client engagement team. Her drive and self-motivation are infectious and we are thrilled to have her on board." Georgie Reece also joins as project coordinator, coming from a sales background within the sports sector. Speaking about her career move, Reece said: "I was looking for a new career direction that satisfied my creative thirst and presented new challenges. Working as part of the operations team here at Primary ticks both of those boxes! Each event is different and being part of a team that delivers first class worldwide events is a hugely exciting prospect to wake up to each day."